Prime Minister Nikol Pashinyan and the Council of Europe's secretary general, Thorbjørn Jagland, summed up their private talks in Strasbourg at a joint press conference, elaborating on the topics discussed and responding to journalists. The meeting was also attended by Foreign Minister Zohrab Mnatsakanyan and the prime minister's press secretary, Vladimir Karapetyan. 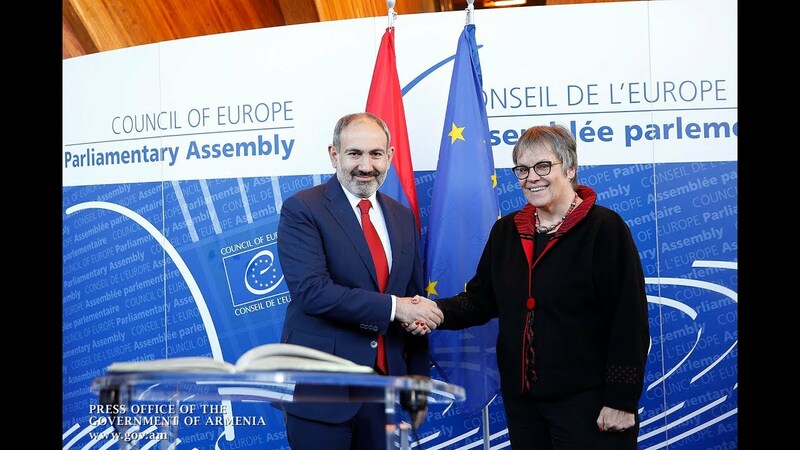 A government delegation led by Pashinyan left for Strasbourg on Thursday morning to participate in the Spring Plenery Session of the Council of Europe's Parliamentary Assembly. Pashinyan also used the chance hand to the European official a copy of the decision to name a square in Yerevan's Northern Avenue the Square of Europe.